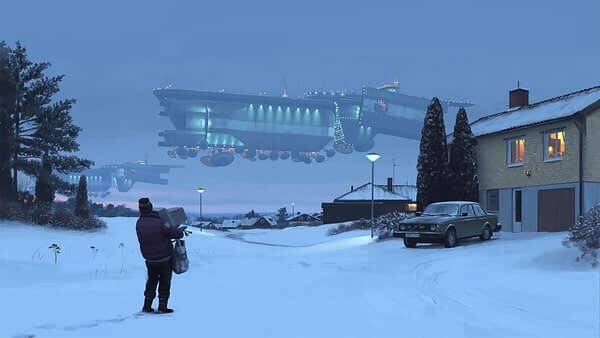 Amazon Studios is ready to bring Simon Stålenhag‘s acclaimed science fiction artwork to life, moving forward with hour-long fantasy series Tales from The Loop. Nathaniel Halpern (Legion) will serve as both showrunner and executive producer with acclaimed Never Let Me Go‘s Mark Romanek directing the pilot and serving as an executive producer. 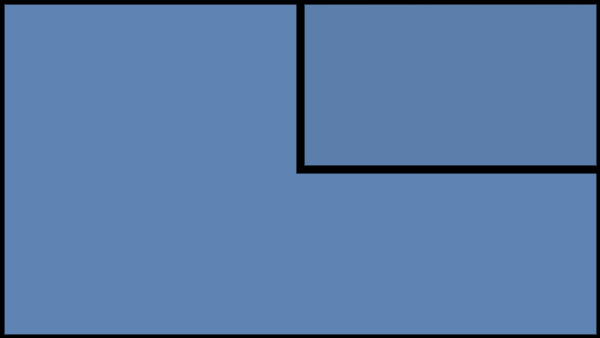 Matt Reeves (The Batman), Adam Kassan (The Passage), and Rafi Crohn (The Passage) also serve as executive producers on the eight-episode series; a co-production with Fox 21 Television Studios that Amazon Prime Video will premiere in over 200 countries and territories. 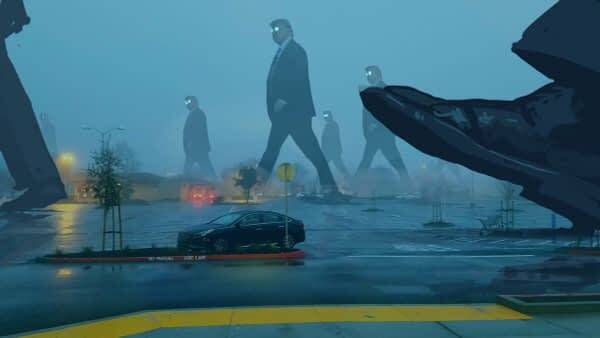 Based on Stålenhag’s works, Tales from The Loop explores the town and people who live above “The Loop,” a machine built to unlock and explore the mysteries of the universe — making things possible that were previously relegated only to science fiction. In this fantastical, mysterious town, poignant human tales are told that bare universal emotional experiences while drawing on the intrigue of genre storytelling. Tales from The Loop is Swedish production and management company Indio’s first US narrative episodic project, partnering the company with 6th & Idaho and Fox 21 Television Studios to bring Stålenhag’s work to the screen. Executive producing for and representing Indio are Mattias Montero, Johan Lindström and Samantha Taylor Pickett (We, the Coyotes).